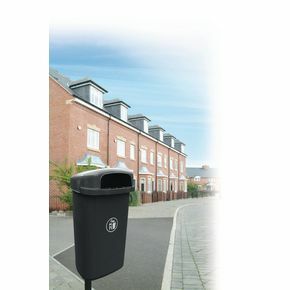 Regent Hooded Wall Or Post-Mounted Litter Bin (Post Not Included). Black With White Tidyman Logo. Hinged removable body for ease of emptying. H x W x D: 760 x 440 x 320mm.